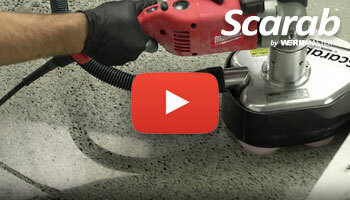 Watch the Terrazzo solution video brought to you from WerkMaster. When dealing with terrazzo, the use of a pure surface coating (as most floor waxes are) is unnecessary and ordinarily NOT recommended. The terrazzo surface is at least 70% marble or aggregate. 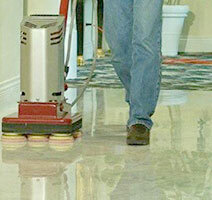 Applying a surface coating or wax may decrease the non-slip co-efficient of friction below the standard rating of 0.5. The marble chips and aggregates (which make up 70% of the terrazzo floor) have very low porosity and do not absorb most staining substances. The portion of the terrazzo that needs protection is the binder, especially portland cement, which is porous and will absorb stains. Terrazzo does not need protection from wear, it needs protection from absorption and this is achieved though the use of a penetrating sealer which seals off the pores in the binder. What are the advantages of a WerkMaster over today’s planetary and direct drive machines? If your customers are tired of looking at an undulating floor that gives off uneven light reflection and is harder to maintain, you can now offer them a brilliant completely flat floor. You can expect a minimum performance benefit of 2 to 1 over traditional equipment with Werkaster machines – grinder, stripper, sanding, burnisher, buffer, polisher and edger. WerkMaster machines are 7 machines in 1. And, WerkMaster takes you to the wall. 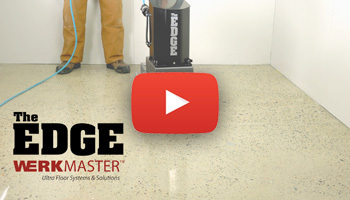 No edging, perfectly polished floors from edge to edge. Want to save even more money for your customer? Protect their floors with ULTRAGuard and they will never wax again. Easy to maintain, giving them lower maintenance costs, a slip factor rating of 7 on the James scale, and resistance to acid, vinegar, pop, and all other common acidic and staining products for a minimum of 24 hours without etching. 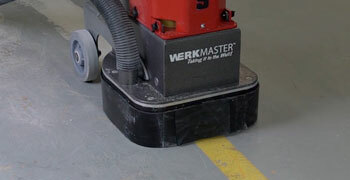 WerkMaster™ floor refinishing machines were initially manufactured to polish Absolute Black granite, one of the hardest stones to polish. 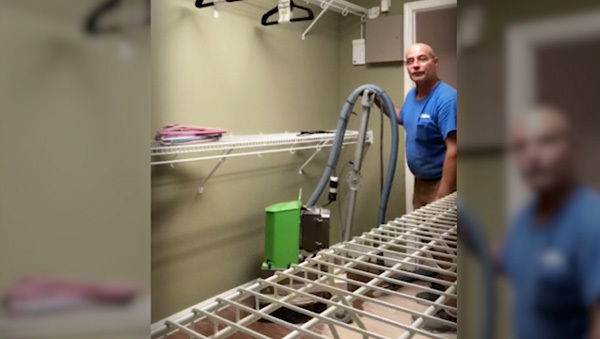 Realizing a need for a machine that could also grind and polish terrazzo and concrete, as well as being able to refinish hardwood and VCT tile floors, the original machine was completely redesigned. 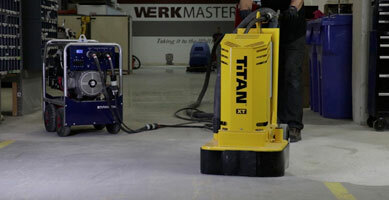 The result is the WerkMaster’s patented eight head Octi-Disc™ Technology with the ULTRA-Flex Plug ‘N Go Tooling System. 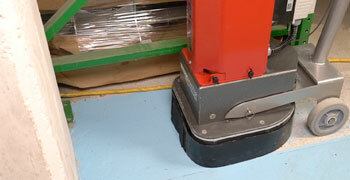 Our machines grind, sand, strip, buff, burnish, polish and edge to within 1/8″ (3 mm) of the wall or cabinet kick. 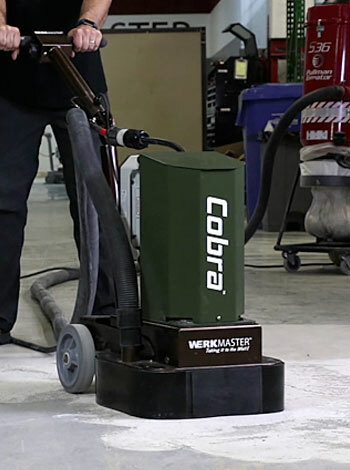 The advantage of a WerkMaster is that one machine can outperform the competition’s technology on any hard surface – floors, walls, ledges, countertops, stairs and risers. What makes WerkMaster™ so unique? Octi-Disc™ Technology and SPEED. Our 8 counter rotating, self-balancing heads spin at disc speeds that are unheard of and are unavailable on today’s planetary, direct drive or drum machines, and it allow all our machines to get to within 1/8″ (3mm) of the wall. 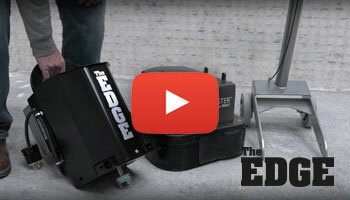 Our new patent pending ULTRA- FLEX Plug ‘N Go Tooling System is a major advancement in tooling design. 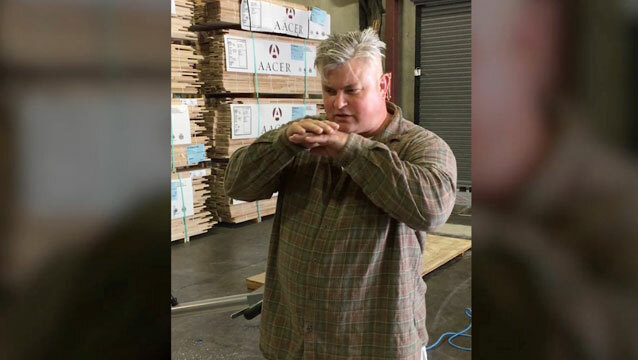 The challenge was to develop a system that would allow the machines to not only flatten a floor, but to follow a very wavy, uneven floor using the same tools and drive plates. The result was an ingenious system that uses various hardness rubber grommets, bumpers and INDEXING. No need to add heavy weights, simply increase or reduce point pressure by easily adding or removing Plug ‘N Go segments. 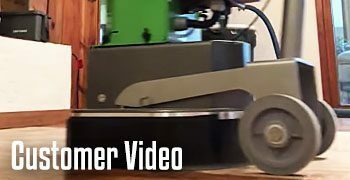 You can vary the desired flexibility allowing you to flatten the floor or follow the floor better than any planetary grinder or hardwood belt sander. How wavy? Remove deep birdbaths or fishbowls up to ¾ inch deep! Grind and polish around drains. 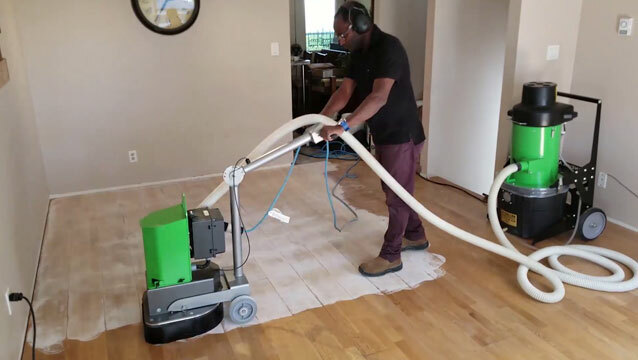 Plug ‘N Go technology also eliminates the frustration and pain of dealing with lippage, expansion joints, large cracks, and curled wood floors or decks.